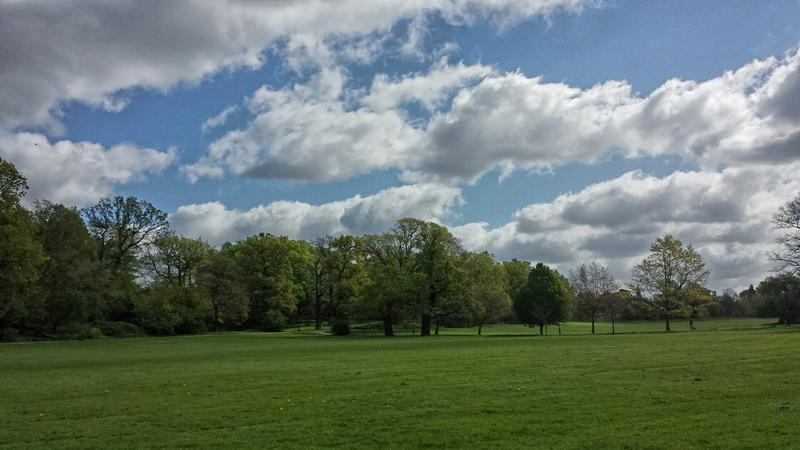 I’ve just been for a run round my local park and am pretty amazed by how quickly I get out of breath and start walking. Until I see another runner that is, at which point I find fresh motivation and summon the energy to start running again. While it could just be me being lazy and awful at running, I think this quite common and probably the reason that running with someone else works so well. It’s also probably one of the reasons that people are paid to set the pace in marathons. It struck me how similar this concept is to making your own games. When I lose my motivation and feel like giving up, I go to a conference, pub meetup or just talk with other game developers and the flames of my game dev desire are fanned once again. Another similarity I drew between the two is that whether you’re running a sprint (small game) or a marathon (big game), you’re still running and your effort is just as valid whichever you choose to do as long as you give it your best. Last night’s Bafta Games Question Time panel was kicked off with a brilliantly divisive first question from the audience, “what’s more important – gameplay or story?“. The divergence in responses from the panelists, backed up with the hard evidence in the form of their successful games demonstrating their beliefs, shows just how great a question it was. The Chinese Room’s Jessica Curry stated that the highly successful Dear Esther was created to answer the question, “what happens when you remove all the gameplay from a first person game”. The answer seemingly being that you get an atmospheric critically and commercially successful indie hit. On the gameplay side of the spectrum, you have Fireproof Games’ rockstar like Barry Mead nonchalantly stating that games aren’t a story telling medium for him, a statement backed up by Fireproof’s hugely successful title, The Room, which contains minimal narrative. Meade also cited titles such as Civilization where the story occurs solely in the players own head. You could also argue that titles such as Tetris, which don’t feature any story at all wouldn’t be improved by the addition of one. The other two panelists, Mike Bithell and Telltale Games’ Dan Connors were representing Thomas Was Alone and The Walking Dead respectively, two titles that sit a little closer to the middle of the story-gameplay spectrum. The success and variety of all these games’ approaches just goes to show how neither story nor gameplay is the more important element. You can make a great game by utilising one or the other, or both. It just depends on the kind of game that you want to make. It was a pleasure to witness the tackling of a topic that can prove so hugely divisive, and observe it being answered so deftly not merely by the words that the panelists used, but by the games that they have created, which say more for their opinions on the matter than words ever could. 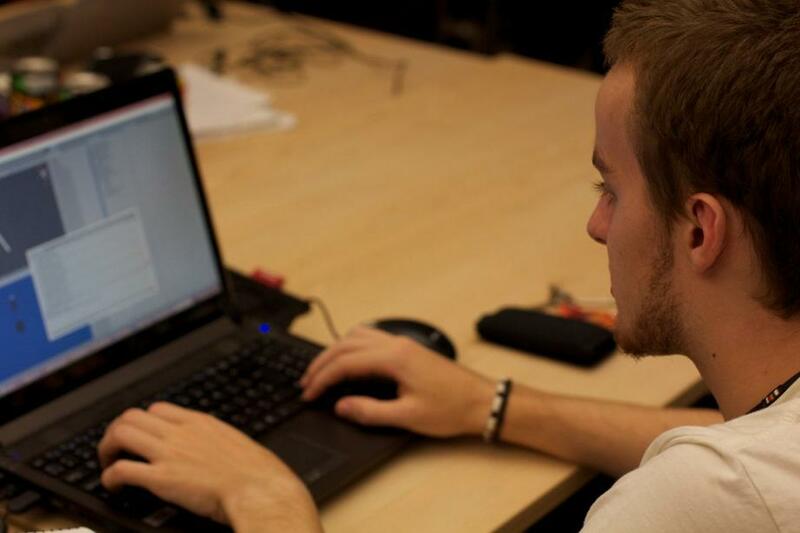 [The event saw four journalists and game developers swapping roles for 48 hours, with University of Derby students helping the journalists to create their games. See Keith Stuart’s liveblog for more details]. I entered into last week’s event equal parts excited and terrified. It would definitely be a unique and interesting experience and I’d no doubt get to meet some great people, but what if despite the spirit of the event sounding light-hearted, a core journalistic competency was actually expected. A core journalistic competency that I probably didn’t possess. Deadlines are your friend. 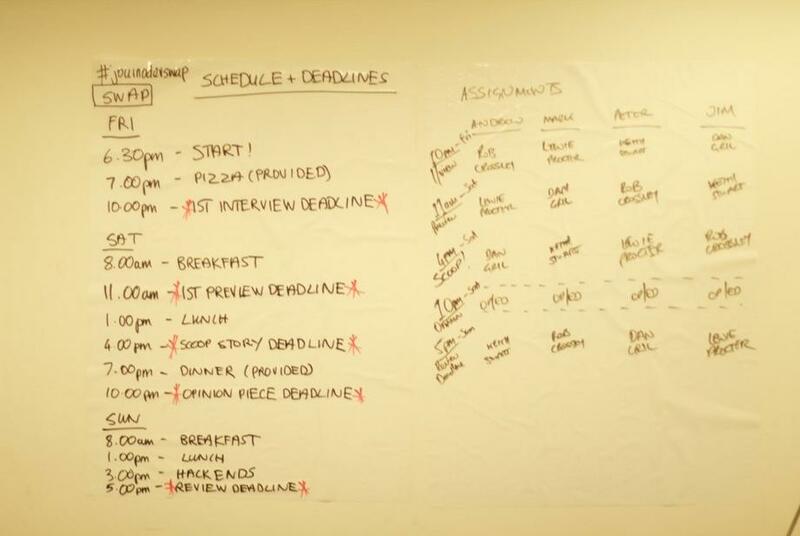 You need deadlines – and not just for articles. For your own creative projects, for your work and for all the things that you put off even though you shouldn’t I have self-imposed a 12:30pm deadline for posting this to my blog because if I don’t then I will most likely never get it done. I’m not sure how effective self-imposed deadlines are but I guess I’ll find out the answer to that one at 12:30. The short deadlines at the game jam meant that I had to get all my articles done in a few hours even though given the choice, I would have spent much longer working on something that was going to be published on a website with as big a readership as Develop. It made me realise what I can actually get done in such a short space of time when I have to. Sometimes deadlines are ridiculously tight. Live blogging big events must be incredibly tough for journalists as there’s so little time to worry about errors or how everything sounds and you just have to get it posted as soon as possible. We had a few hours for each article but this was still extremely difficult. To write a decent article you’ll want to iterate a hell of a lot, which combined with a tight deadline makes things even harder. You need to have an angle for your piece – the thing that makes it interesting. The human angle is great because everyone cares about people and almost every story has a human interest angle in it somewhere, you just need to find it. A good title grabs people. My working title, A Look at Game Jams, didn’t really grab your attention but after canvassing fellow participant and journalist, Rob Crossley, for tips on good titles, I came up with The Magic and Misery of Game Jams, which is much more interesting. Part way through the event I started reflecting on the amount that I’d already learnt from it and that it would be a shame if it wasn’t held again next year with a fresh batch of people. I assumed it probably would be but I made a mental note to chat to the organisers about it later. Turns out my fellow dev-turned-journo, Mediatonic’s Jim Griffiths, had thought exactly the same thing but had had the journalistic instinct to pursue it as a scoop. I’m not sure what the learning is here. Probably to always keep a watchful eye on Jim Griffiths. The students were all really talented and they also realise that these days getting jobs at big games companies isn’t the only way to get into the games industry. 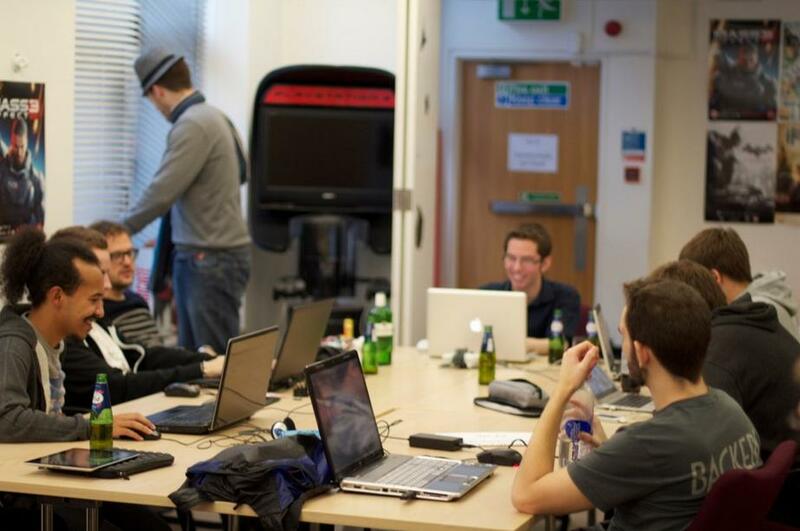 There are opportunities now for people to find success forming their own start-ups, such as Indie Skies that quite a few of the game jam students have already been a part of. One of the floating artists, Dave Jones, in a few moments of down time over the weekend, whipped up a game in Game Maker. He then stuck it on his phone and one of the other students’ and they started having raucous fun racing around the office playing his game. It looked so much fun that everyone else wanted to have a go too. This also shows that you don’t need to be able to code to make a game or to take part in game jams, as there are engines like Game Maker available that let you get started with just a drag-and-drop interface and basic scripting. Another really valuable insight I took from the weekend was that you get better at something by doing it quickly but repeatedly. Whether that’s writing articles, making games or probably most things in life – you will learn more in the same space of time by finishing lots of small things than you will from finishing one big thing. For me, the biggest take away from the experience is that every now and then, I want to write things. I already have a bunch of half written articles and short stories that have never been finished and perhaps never will but having realised that we’re all capable of more than we give ourselves credit for, I’m going to make a commitment to myself to write more, finish what I start and to post more often to my blog. I hope all the press surrounding the event will inspire other people to have faith in themselves and to create something too. 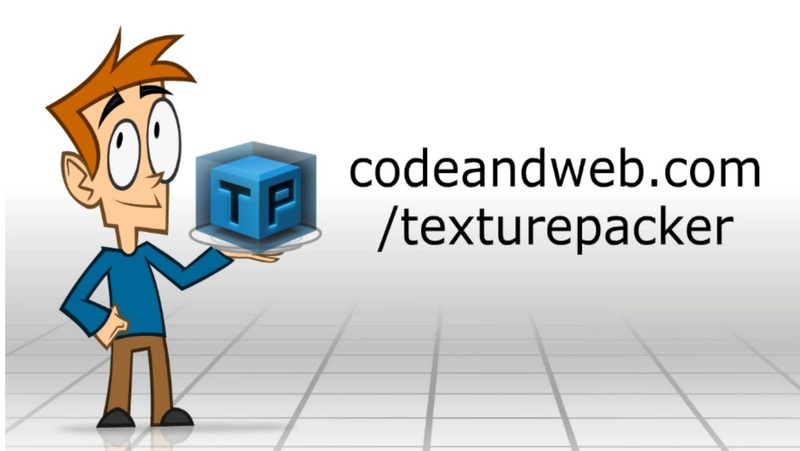 Turns out that you can embed the video in your site really easily just by pasting in some code so here it is! Levels 2 onwards locked and only unlocking when you complete the preceding level. Some sort of Level Complete screen that allows you proceed to the next level, replay this level or go to the level select screen. Parallaxing is something I’ve been after doing for a while – because it looks awesome! All you need to do is set different speeds for each section. 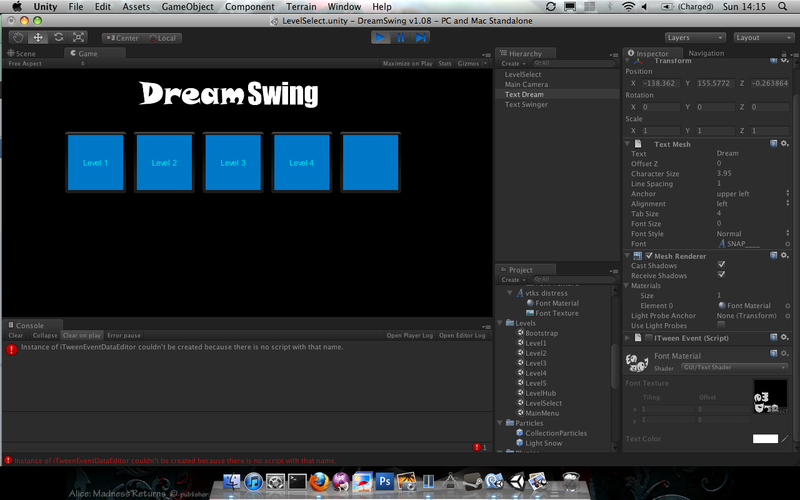 I’ll have to try and upload a video of it working on Dream Swing. Getting this done helped me to figure out the scale of the world – I don’t want a big piece of landscape moving in the background – it should be small things like bits of grass etc and the spider should roughly to scale – previously I had a tree that was way out of scale. It works great for easily adding physics to them – something I’d previously struggled with. I’m really happy with the look – especially as I just chucked all this in in a matter of minutes. I’ve been messing about with rope physics but still not had much luck: I’ve tried the tutorial here http://www.unity3dstudent.com/2010/07/beginner-b11-basic-joints/ and while I got the physics working, they will need a lot of tweaking to be usable and I can’t seem to get it behaving anywhere near how I’d like for the kind of fluid moving rope I’m after. I’ve also downloaded Rage Pixel seeing as it’s free: http://ragepixel.com/. It probably won’t be useful for this project but maybe for the next one! Since my last post I’ve upgraded to Unity 3.5 and messed around with some of the number for jumping which makes it feel much nicer now the gravity and jump velocity have been tweaked. Today I’ve been listening to the Black Keys – Lonely Boy: http://www.youtube.com/watch?v=a_426RiwST8. Lots. 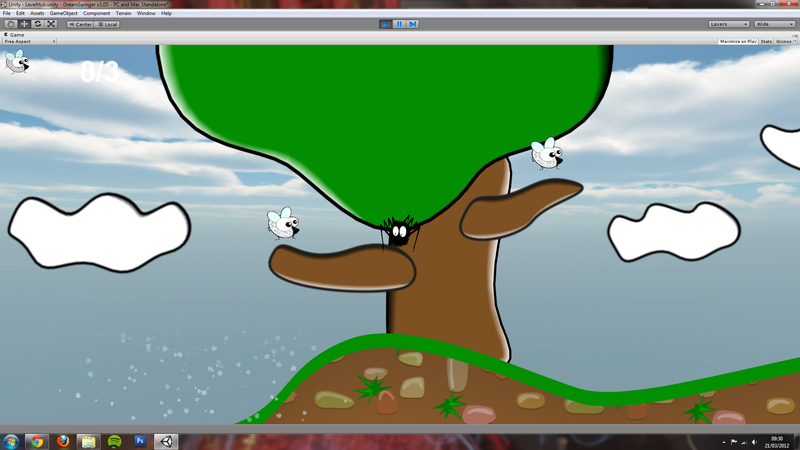 While I haven’t posted on here in a while I did still manage to do a bit of work on the game in the last few weeks, which was adding a second level and adding another (different but still just as badly drawn) tree. Although I need to try and get back into more regular work habits. I’ve recently attended a few games events which have been really inspirational. Firstly, there was LUUG 8 on the 25th January, with some great talks from entrants of the Flash in a Flash competition. Then on the 2nd Feb there was the Wild Rumpus where I got to try out the amazingly fun game of Johann Sebastian Joust and then the Bit of Alright game design conference where I got to see a couple of great talks from @danthat, @cliffski and more, which I might get round to writing a post about at some point. 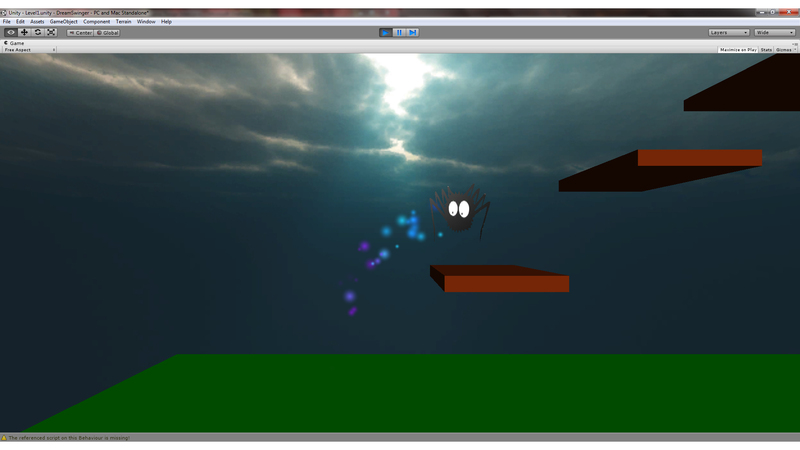 Today I added some more platforms, some particle effects that follow your character in the second level and a few more flies to collect so it’s nearly a functional game… of sorts.